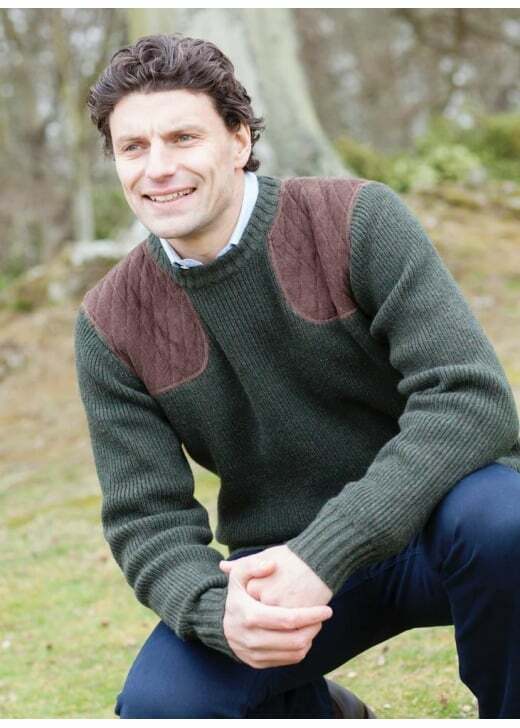 The Mulligan Sweater by Dubarry is a quality made shooting sweater perfect for outdoor living. The Mulligan Sweater by Dubarry is a quality made shooting sweater perfect for outdoor living. Designed with functional shoulder patches and attractive chunky rib knit, this country-inspired sweater is a true investment piece.